James Clyde Vaughn was born in Stockport, Ohio on October 7, 1918. On December 7, 1941 he was stationed at Schofield Barracks on O’ahu, Hawai’i as an enlisted soldier with the U.S. Army and in early 1942 he was assigned to the 100th Infantry Battalion. He attended Officer Candidate School at Ft. Benning, GA and received his commission as a 2nd Lieutenant (Infantry) in August 1942. He then returned to the 100th Battalion, Company C, and joined the soldiers in their training at Fort McCoy, WI as well as at Camp Shelby, MS.
On October 20, 1943, 2nd Lt Vaughn was a platoon Leader of Company A, 100th Infantry Battalion (Separate), attached to the 34th Infantry Division. During an attack on that day, Vaughn was wounded near Leonardo, Italy. He received the Silver Star and Purple Heart for his heroism. After recovering from his wounds, he returned to his unit and later also received the Bronze Star with “V” device and an Oak Leaf Cluster on his Purple Heart. 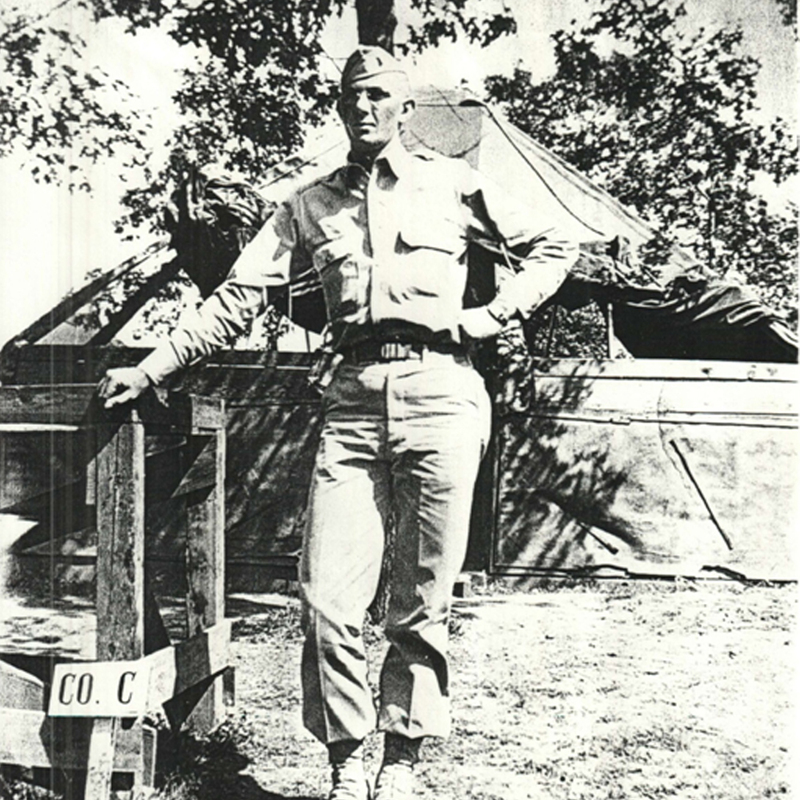 Captain James C. Vaughn separated from the U.S. Army after WWII and worked as a manager for Holiday Inn in Memphis, TN. 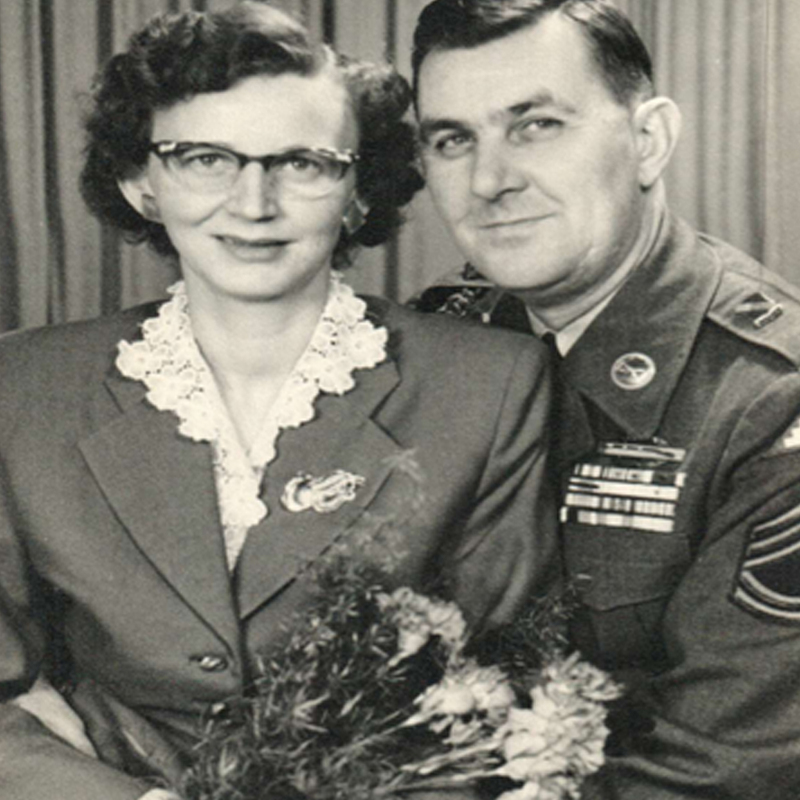 In October 1953 he married Lila Agnes Walker from Manchester, England. Their daughter, Vikki Denise, was born in August 1954. He reentered the U.S. Army in 1954 as an enlisted soldier. In June 1959, now divorced, he married Wilhelmine “Hellen” J. Palm in Germany. After retiring from the U.S. Army, Capt. Vaughn and Hellen retired in Tucson, AZ. 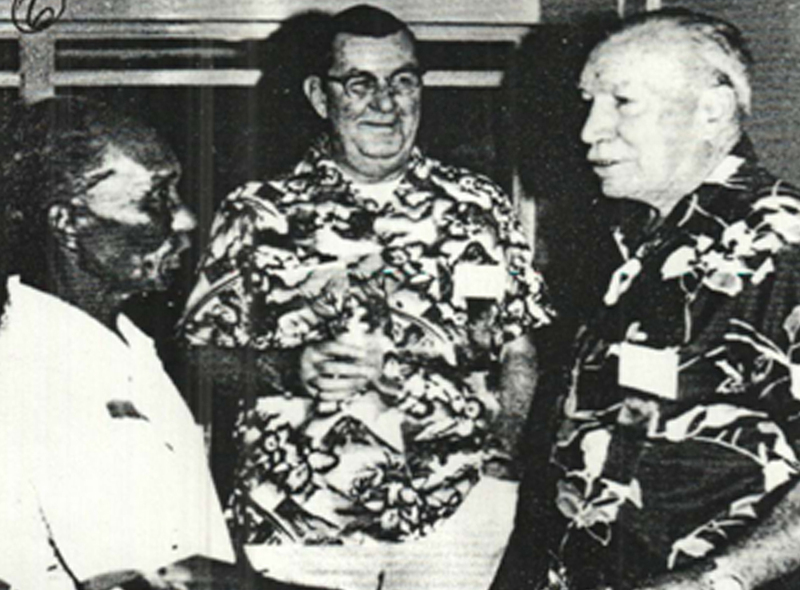 He kept in contact with his former comrades and attended Club 100 functions in Honolulu. Captain Vaughn passed away on November 30, 1990 and chose the National Memorial Cemetery of the Pacific (Punchbowl) in Honolulu for his final resting place.